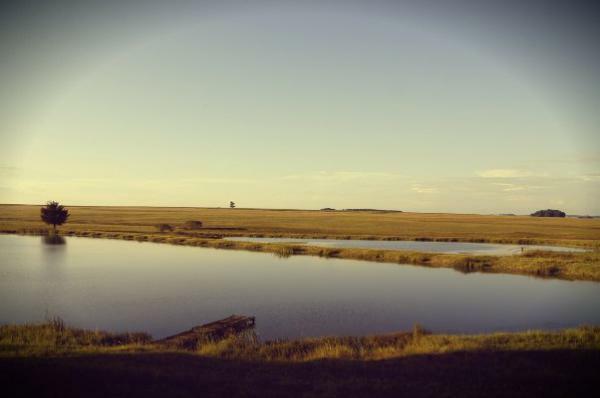 FOSAF NEWS - June Fly of the month: The Black Fritz by John Hunter. Hook : Grip 13113 BL size 10 or 12. Bead : Grip Tungsten bead, Chartreuse or Orange 3mm. Tail : Black Marabou, with 5 or 6 strands of rainbow flash underneath. Body : Black Fritz 10mm. This is a very simple but effective lure for rainbow trout especially in the winter months. 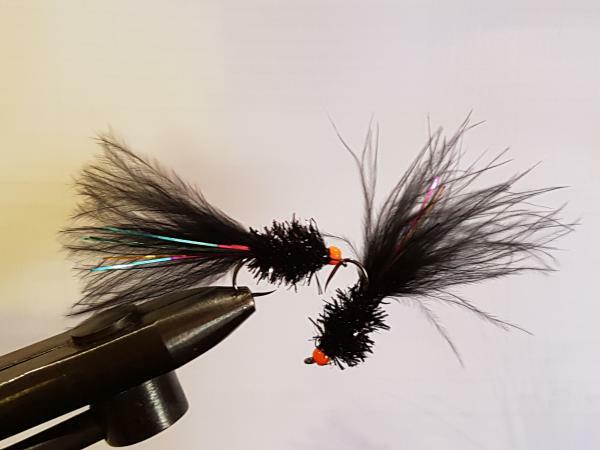 The Black Fritz is a very versatile little pattern, which can be used with any fly line or retrieving method. I like to use an intermediate line with a slow to medium figure of eight retrieve. Takes on this lure are usually very positive. It can also be tied in a variety of colours and sizes to suit the water and season.